The Montana Department of Natural Resources and Conservation must reconsider whether a company that wants to mine beneath the Cabinet Mountains Wilderness should get a groundwater permit, according to a Helena judge. Lewis and Clark County District Judge Kathy Seeley sided with environmental groups that challenged the DNRC’s rationale for giving RC Resources a permit to pump groundwater from the Rock Creek Mine, which would tunnel beneath the Cabinet Mountains Wilderness. This week, the groups declared Seeley’s ruling a win for Montana’s streams. The rugged Cabinet Mountain Wilderness covers more than 94,000 acres of the Kootenai National Forest between Libby and Noxon in northwest Montana. The wilderness, home to a wide array of wildlife including struggling populations of threatened grizzly bears and bull trout, sits atop one of the world’s largest copper and silver deposits. That’s why two mining companies, RC Resources with the Rock Creek Mine and Helca Mining with the Montanore Mine farther north, are trying to get mineral and water permits to mine beneath the wilderness. The Rock Creek Mine, proposed for development near Noxon, would extract up to 10,000 tons of ore daily for up to 35 years. Conservation groups have opposed it for the past 30 years, fearing it could degrade the wilderness and the Clark Fork River. In June 2016, the groups submitted formal objections after the DNRC announced it would grant RC Resources a permit to pump groundwater out of the mine shafts. After a DNRC examiner dismissed their concerns, the groups sued, asking the court to justify their issues. Groundwater and surface waters are often connected, and when wells or pumping cause water tables drop, groundwater can’t feed surface streams. The environmental groups – the Montana Environmental Information Center, the Rock Creek Alliance, Earthworks and the Clark Fork Coalition – argued that RC Resources’ own analysis showed groundwater pumping would cause seasonal low flows in wilderness streams to drop even lower, causing at least one to be dewatered completely. The DNRC claimed that dewatering didn’t matter because the agency’s only concern was whether pumping would diminish the amount of water promised to water-rights owners such as irrigators. In the wilderness, that wasn’t the case. The environmental groups said the DNRC was wrong, that the law required the agency to look beyond just water rights and consider “the public interest.” That’s especially the case in wilderness areas or national parks, where state law considers streams to be “outstanding resources waters,” protected for their environmental, ecological or economic value. 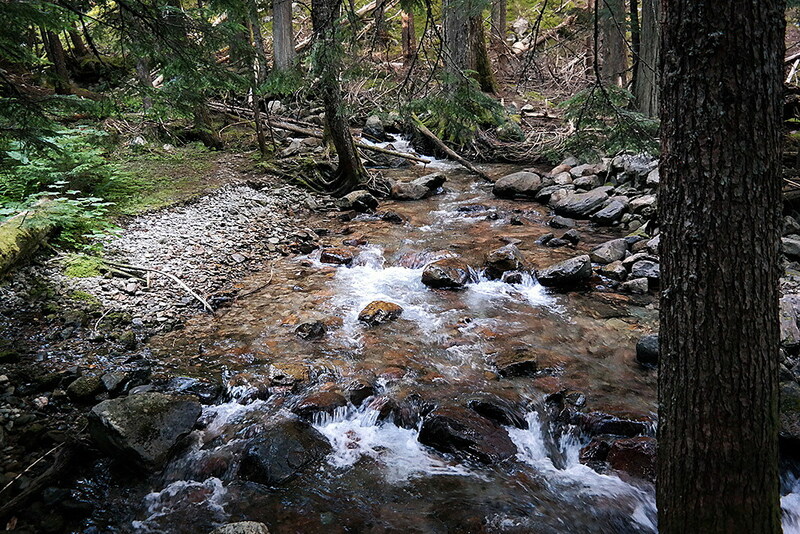 As some of the last sanctuaries for threatened bull trout, streams in the Cabinet Mountain Wilderness have great ecological value. Bull trout will die if their streams are cut to a trickle. Seeley went on to say that if lower streamflows caused by mining reduced stream water quality, the state was legally required to take that into account, too. DNRC spokesman John Grassy told Missoula Current that the DNRC would probably appeal Seeley’s ruling to the Montana Supreme Court. So the mine will be delayed for at least another six months. In the meantime, Montana’s stream advocates hope the ruling could provide some crucial guidance for preserving water resources in an uncertain future. The Rock Creek Mine is also in a legal fight with the Montana Department of Environmental Quality. A year ago, the DEQ sued to stop development of both the Rock Creek and Montanore mines because Hecla Mining CEO Phillips S. Baker Jr. is in violation of Montana’s “bad actor” mining law. The “bad actor” law stops mining executives whose companies default on clean-up obligations from developing new mines in Montana. Baker previously served as vice president of Pegasus Gold Corporation, which operated and abandoned multiple cyanide heap-leach gold mines across Montana in the 1990s.